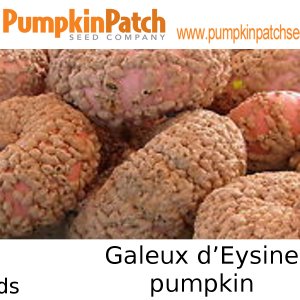 110 days Huge, teardrop-shaped fruit weigh 15-40 lbs and have sweet, fine-grained, golden flesh. Great for baking, pies, and soup. The hard, blue-gray shell helps these keep for long periods in storage. The Blue Hubbard is best steamed or baked. 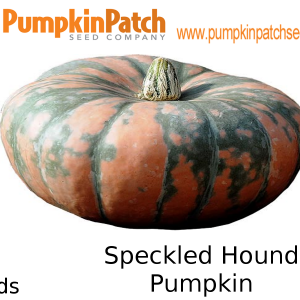 You can serve it topped with brown sugar or maple syrup and a pat of butter right in the empty seed cavity. It can also be mashed or puréed with butter and seasoning before serving. Unlike summer squashes, winter squashes like the Blue Hubbard are allowed to mature on the vine. 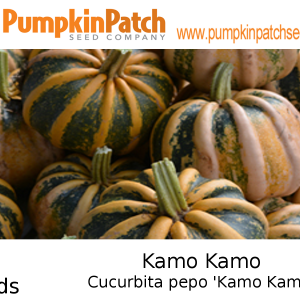 Their skin is hard and inedible—unlike summer squash such as zucchini. 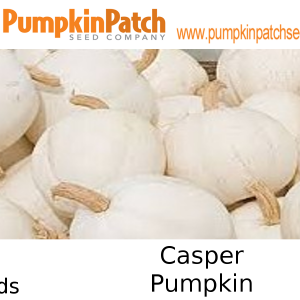 While winter squashes get their start in the summer along side summer squashes, their thick rinds allow them to be stored for many months—right through the winter. 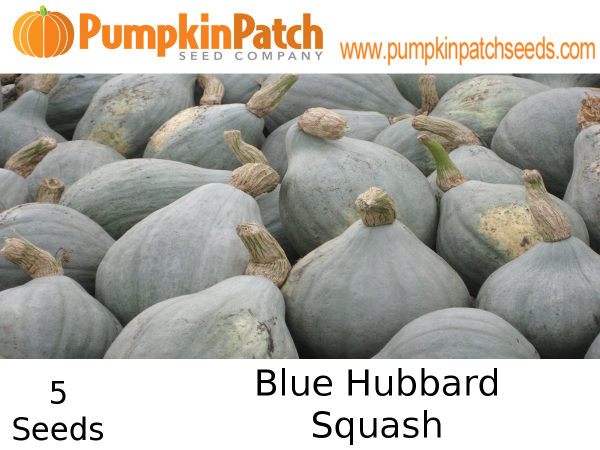 The Blue Hubbard grows to about 12 inches (30 cm) in diameter and can weight from about 11 to 20 pounds (4.9 to 9 kg). It has a dusky gray-blue skin.